RAW Full-Up by NPK Industries can be used in conjunction with all nutrients and supplements. 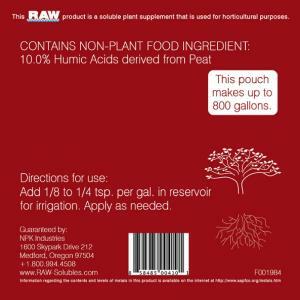 Is a 100% water soluble formula containing 10% humic acid (as highly refined fulvic acid) derived from peat. It is ideal for adding to foliar sprays and for creating optimal plant feeding recipe solutions.